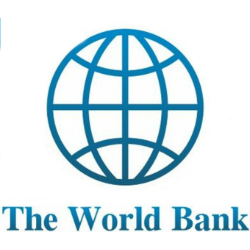 The Multilateral Investment Guarantee Agency (MIGA), part of the World Bank Group, has provided Tanzania private sector investments in infrastructure, energy and mining with approximately USD 185 million in an effort to stimulate economic growth and encourage job creation in the country. According to MIGA Vice President and COO, Michael Wormser, the MIGA has been charged with promoting Foreign Direct Investment (FDI) and the new MIGA guarantee will help the to capitalize on the developing Tanzania mining sector. Mr. Wormser went on to explain that the risks that are often associated with the mining sector are complicated and require that investors utilize cautious judgment, but the MIGA has now developed political risk insurance products to help address concerns such as the revocation of leases, tariff, regulatory and credit risks arising from breach of government contracts as well as dispute related to take off agreements and exploitations rights. The MIGA was launched in 1998 and has since issued a total of USD 1.6 billion for mining sector projects, with a portfolio representing 2% of the agency’s outstanding gross portfolio valued at USD 240 million.